No, but you can still get a Grammarly discount on us. There is no Grammarly student discount through Grammarly’s website, but by clicking our banner below, you can get a Grammarly discount all the same. 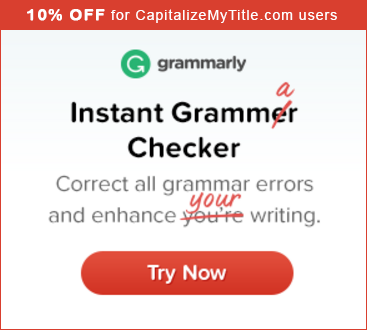 It’s like having a Grammarly student discount after all! Grammarly does have a program for educators though called [email protected] which works with educational institutions to provide Grammar tools for teachers and students. If you are interested in getting a [email protected] account, check it out here. Next articleIs the season fall capitalized?